Delivering emergency aid to provide sustenance, and developing community schemes in order to supplement incomes, to help improve resilience and standards of living. Our early months were devoted to enabling people to stay alive by delivering food aid, and we repeated these efforts during the terrible floods of 2015 and 2016. Improving sustainable livelihoods has been a long-term ambition, not least because if households have more income they are more likely to keep their children in school. 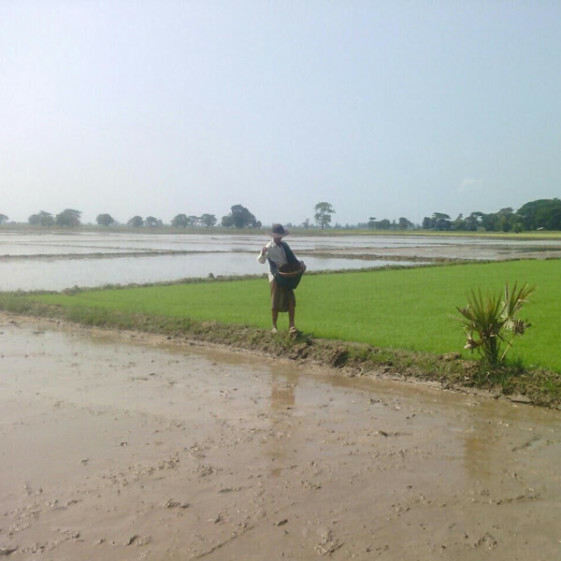 In 2015 we launched a self-sustaining scheme to provide 150 poor farmers in Thar Paung with rice seed to replace that lost in the severe flooding earlier in the year. 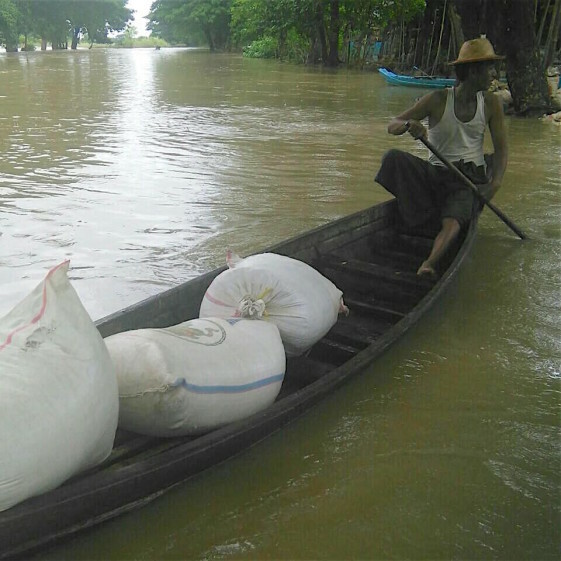 U Thaung Oo, like all the farmers in his district, lost all his seed in the 2015 floods. We donated enough seed for him to plant 3 acres. From the crop he will donate 150 kg. of rice to the village. We are at the beginning of this third leg of the model. The most attractive prospect we have studied is based on a pig-farming scheme operated very successfully by a US charity called Shanta Foundation, working in Shan state. We plan to pilot this in both our areas during 2016.